PhD in Agronomy Engineering (Polithecnic Univ. Valencia), has conducted most of his research and teaching in the University of Castilla-La Mancha, where he is professor of Animal Science in the School of Agronomic Engineering since 1993 He has taken several positions in this school, such as Director of the school, Director of a Department, Director of Institute of Regional Development, Pro-Vicechancellor of Research, and also of teaching staff. He is founder and member of IREC (Spain’s national game institute). In 2007 he was awarded the prize for scientific innovation Juanelo Turriano from the regional government (JCCM). He is founder and director of the Iberian Deer Experimental Farm of the University of Castilla-La Mancha, as well as the leader in the past 25 years of the research group “Deer Biology”. At present he is Scientific Director of the Science Based Company of the UCLM Venadogen S.L. BSc in Biology (zoology: Univ. Valencia) and PhD by Nottingham University (UK; 72th in world universities rank). He is senior lecturer in ETSIA (School of Agronomy) and researcher at IREC (Spain’s national game institute), where he has been vice-director from 2011 till 2013. 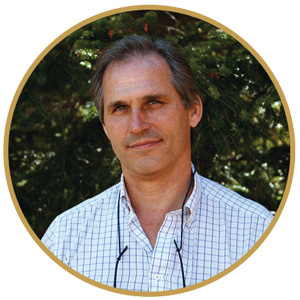 He is also vicepresident of the Federation of European Deer Farmers Association (FEDFA; www.fedfa.org), member of the scientific steering committee of the most important international deer congress (International Deer Biology Congress; the only Spaniard in it, and one of the three European members). He is coauthor of more than 60 papers SCI (+120 impact points) of top ranking journals in fourteen scientific areas. He is organizer of European Meeting on Antlers and Deer (EMAD; www.emad.es). In this meeting, applied scientists that study antlers and other areas of biology of deer, and the best deer managers explain how to improve or start the business of breeding deer in game estates and farms to Russian businessmen, and in general, in all Europe. This will take place every year during the Feria of Albacete, promoting Venadogen. Veterinarian, senior lecturer in UCLM in Animal Science. DVM from Murcia University in 1994 Member of the first research team that started in Spain studies of deer breeding at international level. 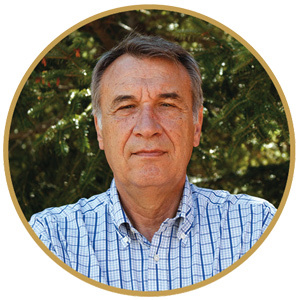 Veterinarian responsible of the Experimental Deer Farm of the UCLM of the School of Agronomy from 1995 until present. He is lecturer in several subjects of animal science and game management, as well as courses for specialists and masters from other universities and research centres, both national and international. Researcher in a number of areas, with important contributions in animal production, physiology, animal health, reproduction, endocrinology, behaviour, etc. in small ruminants, both from cattle and wild species. However he is a deer specialist. 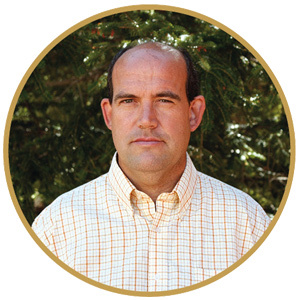 One of his main interests is the ethology of both wild and cattle species to improve a sustainable production, minimizing stress and optimizing the relationship between animal welfare, animal production, and economic benefit.